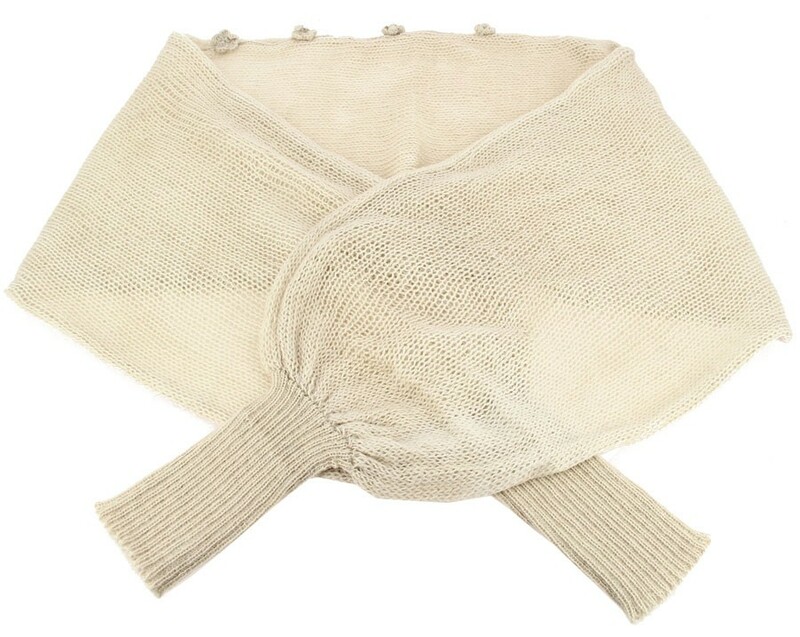 Caserita presents this bolero - short-pullover, knitted entirely of alpaca fiber. It is lightweight thanks to its knitting technique. A versatile garment for all occasions. - like a bolero, just button it to add an elegant touch to your wardrobe. - like a pullover with your favorite tee. Play with the buttons to make the collar wider or narrower.